Integral has been quietly providing intelligent solutions and advice in the world of learning since 1985. From direct work with training providers and schools right down to advising on and developing national strategies, we are invariably working at the cutting edge of thinking. Much of the time Integral is effectively a one-person shop run by Peter Clitheroe from purpose-built facilities in a Suffolk barn. 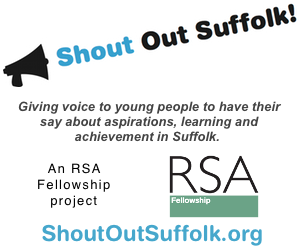 The digital revolution of recent years led to some remarkable opportunities to reach more people more engagingly than ever before and to encourage people to get into a much deeper habit of learning, from specially prepared materials, from information and advice they can find on-line and from collaborative learning with others – often if different parts of the world. My mission is to help create conditions where learners can be inspired and enthused to take joy in their learning, where they can interact with other learners and achieve great things. From that initial interest in the potential of digital technology for enabling learning, it was only a small step to using it for business communication of all sorts. Podcast technology allows the delivery of high quality audio and video content to subscribers to access on computer or mobile devices. This is brilliant for informal listening. For example via an MP3 player or smartphone on the way to work or between appointments. The promotional effect of blogs and podcasts is largely untapped and offers huge benefits. My background in the music business had me alert to the possibilities for promoting music through podcasts. 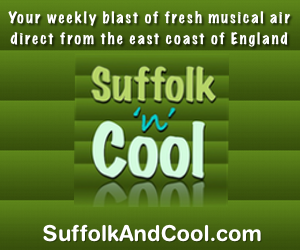 Suffolk’n’Cool was started in 2006 as an experiment to see whether record companies and others would take to a different way of promoting music. The answer is that the big labels are fearful of anything new as they gradually decline in influence and relevance. On the other hand independent musicians, their smaller labels and, in particular their publicists have embraced music podcasters as great allies in the push to get the music out, direct to the people that buy it. By presenting the human face of an organisation (just as we did for Adnams did through the Artist of the Month feature) trust and loyalty can be built in very cost-effective ways. We have the experience, skills and facilities to help companies publish their own content, direct to their target audiences and to help them engage with that audience to build profitable relationships.